Loved this one! All about ways that people can transform the world, even if you are not rich. Talks about how the march of dimes cured polio, with people giving only one dime per person! The power of numbers can really add up and help quite a bit! You always have to be careful when donating to charities, a lot of the large ones spend most of the donations on salaries, fund raising, overhead, etc. 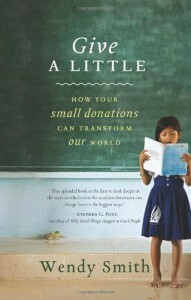 Most of the ones in the book are small ones that help people, mostly in developing worlds. I would have liked to see more charities listed for the US. I think the most glaring omission in this book was that they left out folding@home. A simple program that runs in the background of your computer that studies protein folding and is trying to cure diseases like Parkinson's, etc. A totally free way to help. Beyond the 10 or so minutes required to get it set-up, you can totally forget about it! 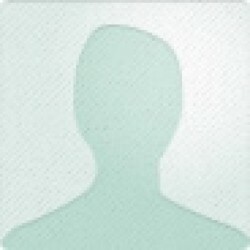 Another one of my favorites is freerice.com. You can do english vocabulary, spanish words or math. Each time you get a correct answer, the sponsors donate 10 grains of rice to hungry people. Play games and feed people, cool! There are a lot of organizations I have never heard of that I will be checking out. Onemillionlights.com will bring solar led lighting to third world countries that were using kerosene for lighting. Darfurstoves.org will bring highly efficient cooking stoves to people who need to spend all day searching for firewood to cook their food. They are stripping the landscape and inhaling the smoke. Ewb-usa.org is engineers without borders, sounds interesting, have to check out the site. Hippowater.org allows women to roll water home from the river instead of carrying it on their head. Tons of great ideas here! Definitely recommended!